Master carver Luke Marston created a 14-foot bronze sculpture for Stanley Park, commemorating the adventures of Portuguese Joe and his Coast Salish family. 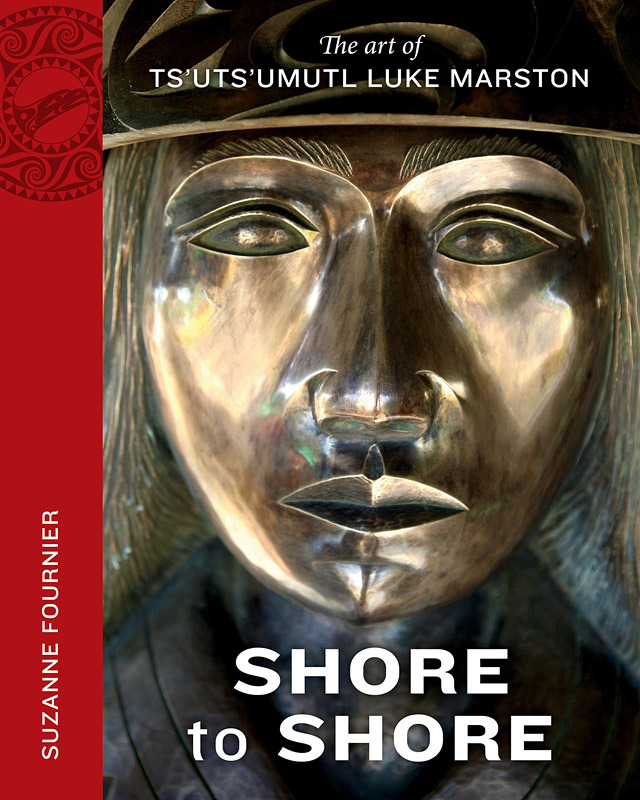 Luke Marston’s sculpture, Shore to Shore, stands at the site of his family’s ancestral village site X̲wáýx̲way, and celebrates Portuguese adventurer Joe Silvey (“Portuguese Joe”) as well as his first and second Coast Salish wives, Khaltinaht and Kwatleemaat. The artist Luke Marston is the great-great-grandson of Portuguese Joe and Kwatleemaat. Joe Silvey was born and raised on Portugal’s Altantic Azores Islands, though after several adventures, Joe found himself on the Pacific, and an early pioneer of Vancouver’s Gastown. The sculpture honours the link between Portuguese and Coast Salish First Nations cultures, marks the land’s rich heritage, and symbolizes unity for the Vancouver’s present-day diverse inhabitants. The large bronze sculpture is surrounded by engraved Portuguese stone, prominently installed in Stanley Park’s Northeast shore, overlooking downtown. Be a part of this cultural landmark. Award-winning documentary filmmaker Peter Campbell (of Gumboot Productions) is creating a feature-lenth film about the creation of the Shore to Shore sculpture and the adventures of Portuguese Joe Silvey and his life-long connection with The Coast Salish, the whalers and the pioneers along the BC Coast. Award-winning author and journalist Suzanne Fournier has written a book detailing the story behind Shore to Shore, following its creation from concept to carving and casting, as well as an account of Luke’s trip to the homeland of his great-great-grandfather Portuguese Joe Silvey in the Azores island of Pico, Portugal. This books is now available from Harbour Publishing, Munro’s Books (Victoria), Chapters, Amazon.ca, Amazon.com, and Barnes & Noble.